Our awesome staff combines the strength of over 80 years of experience in the glass industry. We are professionals excited to create and install the very best architectural glazing systems available to meet your criteria and budgetary needs. We stand behind our work and GUARANTEE your satisfaction 100%. Call us old-fashioned Yankees, but that’s how we think it should be. 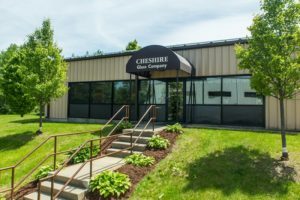 At Cheshire Glass, we are committed to “can do” solutions. Our focus is to understand your project needs and to collaborate with you to find the right solution at a competitive price. Our goal is to consistently exceed customer expectations in all that we do! For any of your residential needs whether it be replacement windows to gain improved efficiency for heating….